This table will be published and updated in a new Flicker Free Monitor Database. We will include confirmation of the models we have tested, and also try to capture others which have been confirmed by other sources as being PWM. If you know of any models missing, please send us an email or tweet with the details and link to the tests confirming it to be PWM and we will add it to the database. Asus have decided to refresh their popular MX9 series of screens with the launch of the new Designo VX9 models. The design has remained the same as the older models with the exception of the stand and brushed metal bezel which have changed from silver to black in colour. They maintain the ultra-thin bezel and 'sun dial inspired' base though. The screens feature modern AH-IPS panels from LG.Display combined with an W-LED backlight unit. The models being released are the 23" VX239H, and 27" VX279H and VX279Q. All three models offer a 1920 x 1080 resolution, 5ms G2G response time, 1000:1 contrast ratio, 250 cd/m2 brightness and 178/178 viewing angles. The connections differ though. All models have VGA, HDMI (with MHL support) and audio connections. The 'H' model has an extra HDMI port (with MHL support again), while the Q model has DisplayPort instead. The stand provides only a basic tilt function and there is no VESA mounting support on these models. Unfortunately these models mark the loss of the 3W Bang & Olufsen ICEpower speakers which are pretty decent as far as built-in speakers go. These are being replaced by some more generic 1W (23” models) or 1.5W (27” models) stereo speakers. No word on price or release date yet. We've recently published a full review of BenQ's latest flicker free GW2760HS monitor. 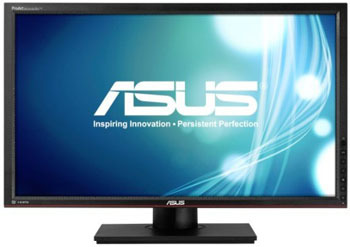 Asus have also recently released a couple of models in their range as a direct rival to the BenQ screen. These feature a similar thin-bezel design, glossy black plastic finish, and use the same AMVA panel technology from AU Optronics. Asus actually dub this AMVA+ in their specs, but this is probably just a marketing trick to signify the latest generation of AMVA panel, although we have seen some improvements in terms of viewing angles with the GW2760HS tests. The screen uses a W-LED backlight and it is unclear whether it will be PWM-free or not as the backlight controller is independent of the panel. The screen offers a 1920 x 1080 resolution, 5ms G2G response time, 3000:1 contrast ratio, 300 cd/m2 brightness, 178/178 viewing angles and an 8-bit colour depth. The stand offers only a basic tilt function but the screen is VESA 100 compliant if need be. 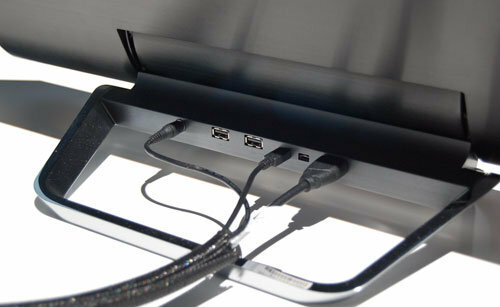 The 'H' model offers 2x HDMI ports (with MHL support), VGA and audio connections. The 'Q' model has 1x HDMI (with MHL), 1x DisplayPort, VGA and audio connections. Both models are identical apart from those connections, and will also feature integrated 2x 2W stereo speakers. There is apparently a third model in production which will be the VN279QLB which will have a fully adjustable stand (height, tilt, pivot, rotate), all the connections of the 'Q' model, and an added USB 3.0 port. No word on price or release date yet. Back in December we brought you news about a new high res 27" panel in production from AU Optronics. The new so-called "AHVA" (Advanced Hyper-Viewing Angle) panel would be the first VA matrix to offer the ultra high 2560 x 1440 res that has become very common in the IPS and PLS market. The panel is actually an "IPS-mode" type, designed to offer similar performance characteristics to LG.Display's IPS, and also Samsung's PLS equivalent. You will notice as a result that the usual high static contrast ratio for VA panels of 3000 - 5000:1 is not available and instead the panel offers a much more IPS-like 1000:1 figure. Expect wider viewing angles and freedom from the off-centre contrast shift you see from traditional VA matrices. BenQ will not surprisingly be the first to release a monitor using this new AHVA panel and the BL2710PT has appeared on their website this week. The screen is being marketed as the words first custom-built CAD/CAM monitor and aesthetically it looks very similar to the BL2411PT already in their range. Like the rest of BenQ's forthcoming range the screen will feature a flicker free backlight, free from PWM usage which is good news. The backlight itself is W-LED and offers a colour gamut covering 100% sRGB according to the spec, but not a wide gamut like some modern GB-LED backlights. The spec also offers a 4ms G2G (12ms ISO) response time, 1000:1 contrast ratio, 350 cd/m2 brightness and 178/178 viewing angles. The panel is listed with a 1.07b colour depth so the panel will be either true 10-bit or 8-bit+FRC. The stand offers a full range of tilt, pivot, height and rotation functions. There are D-sub, DVI, DisplayPort and HDMI connections available and also 2x USB 3.0 ports on the side. The screen also has an ambient light sensor which is useful along with 2x 3W integrated speakers and a headphone jack. There is a dedicated ‘CAD/CAM Mode’ even which enhances contrast and colour saturation to make wire-frame meshes more visible. There is also a so-called ‘Present Mode’ which simulates a projector-like output on the screen so you can prepare for how your designs will look when presented to an audience and modify them if necessary. It is tuned specifically to the capabilities of the BenQ MX660 projector but will give a decent representation of general projector output. In what will no doubt be a popular move, BenQ have decided to embrace flicker free backlighting across pretty much all of their new range of screens as they are released throughout this year. They were the first manufacturer to widely adopt 16:9 format, LED backlighting and AMVA + LED across their range in the past and now they've decided to look out for their customers again with this new technology. The backlights will not use PWM for backlight dimming and instead use a Direct Current (DC) method to avoid flicker. This forms part of BenQ's "EyeCare" initiative encompassing flicker free, new preset modes for reading, ambient light sensors and a new cabling supply to package digital cables (HDMI or DVI) with their new monitors instead of older analogue D-sub cables. The BenQ GW2760HS is one of the first models in their new flicker free range which we have with us for review at the moment. Review coming soon! Expect lots of new models across their range in all sizes from 21.5 - 27" to be launched throughout the year from BenQ with flicker free backlights. Originally announced on Asus' Nordic Facebook page, the PQ321 display is certainly something a little different. This massive 31.5" screen features an IGZO (Indium Gallium Zinc Oxide) panel instead of the normal a-Si (amorphous silicon) that is traditionally used for TFT LCDs. This technology, developed by Sharp, allows for much higher pixel density which is why the PQ321 offers a massive 4k 3840 x 2160 resolution (16:9 aspect ratio)! The screen also offers a spec with 8ms G2G response time, 800:1 contrast ratio, 350 cd/m2 brightness, 176/176 viewing angles, is LED backlit and offers 10-bit colour support. There are DisplayPort, 2x HDMI and an RS-232C interface provided (an old serial connection used by some industrial devices). There are also audio input and output connections along with 2W stereo speakers. The fully adjustable stand offers tilt, height, swivel and pivot adjustments and the screen is also VESA compliant for mounting options. Of course IGZO technology is largely untested so it will be interesting to see how these perform as and when they become available. The price is expected to be very high, especially when you consider Sharp's own screen retails for ~£4000 GBP. The screen is being showcased at Computex in June but the release date is not known yet. 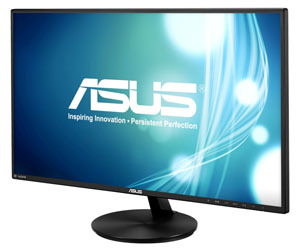 Asus have recently announced a new model in their ProArt series of screens. The new 27" PA279Q will offer a wide colour gamut, covering 99% of the Adobe RGB colour space, thanks to the use of the latest GB-LED backlighting technology. 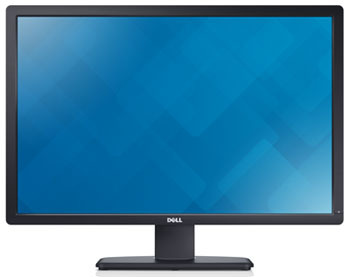 This has already appeared in the new Dell U screens (U2413, U2713H and U3014). It can cover 103% NTSC, 99% Adobe RGB and 100% of the sRGB references. This new style of backlight is combined in the PA279Q with a modern AH-IPS panel with a 2560 x 1440 resolution. There is a 6ms G2G response time, 350 cd/m2 brightness, 10-bit colour support and 178/178 viewing angles. The screen carries a factory calibration as well designed to offer a 6500k native white point and 2.2 gamma curve out of the box. Users can calibrate the screen using a 6-axis adjustment system as well and the screen supposedly comes with a hood as well. Initial reports don't seem to mention hardware calibration but that's certainly a possibility as this does seem to be a direct competitor to the Dell U2713H. There are DL-DVI, HDMI, DisplayPort and audio connections available, along with 6x USB 3.0 ports (do we really need 6?) and support for Daisy-chaining via a DisplayPort out. There is even an integrated 9-in-1 card reader which is nice to see and a couple of integrated 3W stereo speakers. The stand supports tilt, swivel, height and rotate adjustments and there is a VESA mounting option as well. The PA279Q is expected to launch globally in early June following the Computex event in Taipei, although pricing is currently unknown. DGM are set to release a range of new IPS based displays in the near future. We have some early information already and know that there will be models in 24, 27 and 30" sizes. The 24" IPS-2402WDH (pictured above) is already listed on DGM's website. It offers a 16:10 aspect ratio with 1920 x 1200 resolution. The panel also offers a 5ms G2G response time, 1000:1 contrast ratio, 350 cd/m2 brightness and 178/178 viewing angles. There are HDMI, DVI and VGA inputs available along with built-in stereo speakers. The 27" IPS-2703WPH is a new 27" in their range, following on from the IPS-2701WPH we reviewed back in July 2012. The new offering will apparently have a "hard glass" front and offers a 2560 x 1440 resolution, 6ms G2G response time, 1000:1 contrast ratio, 350 cd/m2 brightness and 178/178 viewing angles. VGA, DVI, HDMI and DisplayPort connections are provided and again there are built-in stereo speakers. It is unclear whether this is a standard or wide gamut model. 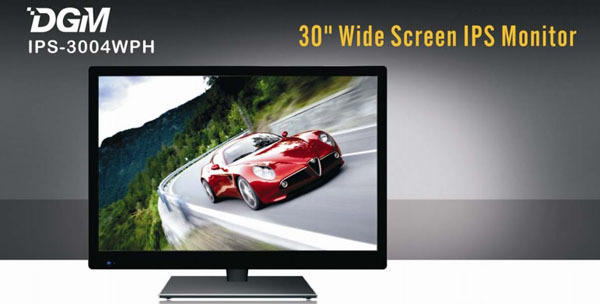 Finally the 30" IPS-3004WPH comes with a full 16:10 aspect 2560 x 1600 resolution. It also has a 6ms G2G response time, 1000:1 contrast ratio, 370 cd/m2 brightness and 178/178 viewing angles. VGA, DVI, HDMI and DisplayPort are provided again along with stereo speakers. This model is expected to be a wide gamut display, and so may well feature the same panel used in the Dell U3014 with GB-LED backlighting. More info along with reviews soon. Philips has recently released two new 27" screens in their range, sporting the latest PLS panel technology. First is the 272P4 (full name 272P4QPJKEB) with integrated webcam and microphone for desktop conferencing was showcased at this years CEBIT event as well. The screen offers a 2560 x 1440 resolution, 8 bit colour depth, W-LED backlight with standard colour gamut, 6ms G2G response time, 20 million:1 dynamic contrast ratio, 300 cd/m2 brightness and 178/178 viewing angles. The screen has 2x HDMI, 1x DVI and 1x DisplayPort interfaces, with daisy-chaining and PiP / PbP functions as well. There is also a 3 port USB 3.0 hub integrated into the screen. The stand offers tilt, swivel, height and rotation functions as well and a human sensor ("PowerSensor") helps save energy when the user moves away from the screen. The 272P4 is available now with a RRP of £520 GBP (inc VAT). Although various AOC models enjoyed considerable success and popularity throughout the gaming community, none of them had initially been designed specifically for gaming – until recently. 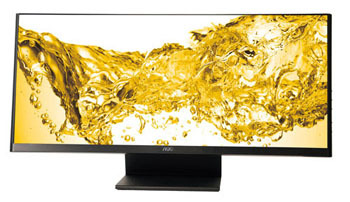 Backed up by mother company TPV, the world’s largest display manufacturer, AOC has made use of its access to the latest display technologies and high-grade materials to create what they claim to be "the ultimate gaming monitor". AOC has come up with the brand-new g2460Pqu, designed to fulfil even the highest expectations. This claim is reflected by the “g” for “gaming” in the 61 cm (24”) model’s name. Boasting a 144 Hz refresh rate support and a pixel response time of 1ms G2G, this Full HD model with its no-nonsense design offers numerous benefits that have been specifically tailored to gamers, such as an integrated USB hub (with fast charge function), a special on-screen display and an ergonomically flexible yet durable housing. The panel offers a 1920 x 1080 resolution, 350 cd/m2 brightness, 1000:1 contrast ratio and 170/160 viewing angles. The backlight is W-LED and so it features a standard colour gamut as you might expect. The panel is TN Film based. The monitor is mounted to a fully adjustable stand which allows tilt, height, swivel and pivot adjustment. If preferred you can also mount the monitor using 100 x 100mm VESA. According to current information the ports on the monitor include; VGA, HDMI, Dual-link DVI-D, DisplayPort and 4 USB 2.0 ports. There is also a headphone jack and some simple built-in speakers. “We are proud to present the g2460Pqu. This top-notch display has been developed for gamers by gamers, so to speak. We have gained a lot of knowledge through our cooperation with Team Infused and look forward to further intensifying our partnership”, states AOC Product Manager PM van Til. 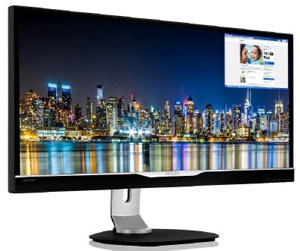 From its debut at CeBIT 2013, the Philips 298P4QJEB professional display is now on sale. 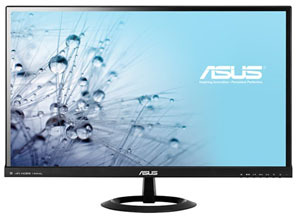 This model offers an ultra-wide 29", 21:9 aspect ratio with 2560 x 1080 resolution. The AH-IPS panel offers a 5ms G2G response time, 300 cd/m2 brightness, 178/178 viewing angles and an 8-bit colour depth. The backlight is W-LED and so the screen has a standard colour gamut. Philips talk about its ultra-thin bezel as well in their press release and promote the PiP and PbP functionality of their "MultiView" capability. The stand for the screen offers a full range of tilt, height, swivel and rotate adjustments and there are DisplayPort, DL-DVI and 2x HDMI connections available. 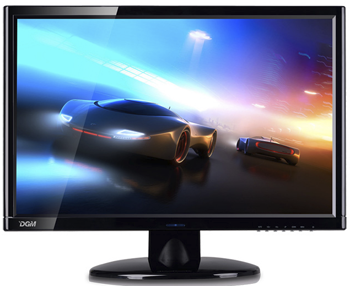 The Philips 298P4QJEB monitor is available in stores as of now, at a recommended retail price of £449 GBP including VAT. There is also the new 29" 298X4QJAB screen which seems to be aimed more at multimedia and movie users. The spec and features remain largely the same but the stand only offers a basic tilt function. 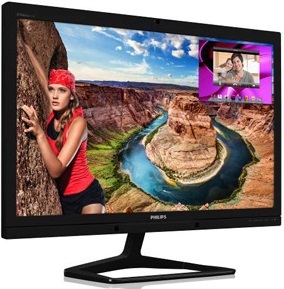 The Philips 298X4QJAB monitor is in stores now, at a recommended retail price of £ 429. NEC have quietly released a 24" version of their P232W screen. 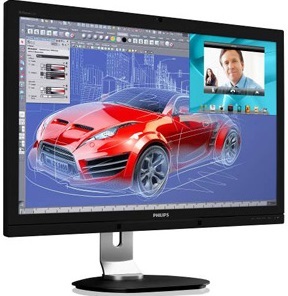 The P242W is described by NEC as being an "IPS entry level professional desktop monitor". The reasoning behind the "entry level" statement seems to be the standard gamut colour space offered, through the use of a W-LED backlight system. This is contrary to many of their other professional range models which feature wide gamut backlights (e.g. NEC PA241W). Spec wise the screen offers an 8ms G2G response time, 1000:1 contrast ratio, 350 cd/m2 brightness and 178/178 viewing angles. The panel seems to be a standard 8-bit (tbc whether that's 6-bit+FRC) with a 16.7m colour depth. DisplayPort, VGA, HDMI and DVI-D inputs are offered and the stand has a full range of tilt, height, swivel and rotate features. Hot on the heels of the recent Dell U3014, Lenovo seem to be the first manufacturer to follow suit and release a new 30" display with the latest generation of GB-LED backlit AH-IPS panel. The ThinkVision LT3053p offers a massive 2560 x 1600 resolution (16:10 aspect ratio) and it's GB-LED backlight allows a colour space coverage of 99% Adobe RGB / 103.7% NTSC. The screen boasts additional productivity features that provide a distinct user experience; its ThinkVision PIP Anywhere solution (a software solution which enables quick access to LT3053p’s picture-in-picture (PIP) / picture-by-picture (PBP) display modes from the desktop), and keyboard & mouse one switch toggle allow users to simultaneously work between two PC systems seamlessly and effectively. ThinkVision LT3053p also comes bundled with a professional shading hood and supports optional colour calibrators to further enhance the user’s viewing experience. A 5 port USB hub is included with USB 3.0 support and the screen offers DisplayPort, HDMI, D-sub and DVI connections. It can also support daisy-chaining like the Dell U3014 can. The stand offers a full range of tilt, height, swivel and rotate functions. Spec wise the 30" panel offers a 6ms G2G response time, 1000:1 contrast ratio, 300 cd/m2 brightness and 178/178 viewing angles. It has a 14-bit LUT and the panel can support 1.07 billion colours. 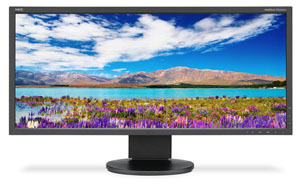 Hot on the heals of many other manufacturers like Dell, LG and AOC, NEC have now announced their new 21:9 aspect ratio 29" widescreen monitor. 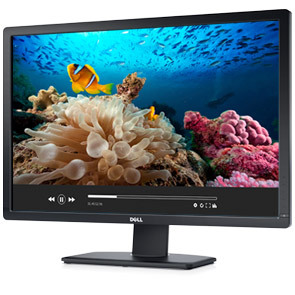 The EA294WMi offers a large screen format with a 2560 x 1080 resolution. The AH-IPS panel offers a 6ms G2G response time, 1000:1 contrast ratio, 300 cd/m2 brightness and 178/178 viewing angles. The W-LED backlighting unit offers a standard sRGB gamut. There are height, tilt, swivel and pivot options available form the stand and the screen also offers DisplayPort, HDMI / MHL, 2x DVI (one dual-link, one single link for some reason) and 2x D-sub connections. The new Mobile High-Definition Link (MHL) enables you to connect your smartphone directly to the display. Integrated speakers, headphone jack and USB Hub complete the feature set, providing excellent options for office communication. An integrated human sensor and ambient light sensor add to the energy saving measures for the screen as well. The screen also offers a 4 port USB hub. NEC EA294WMi comes in black or white and is available in USA now for $800 USD. It will also be available in Europe soon. 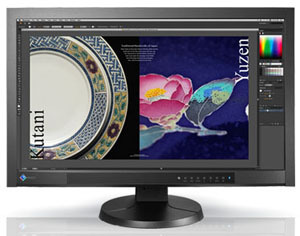 Eizo Corporation today announced that its ColorEdge CG276 LCD monitor will offer input support for 4K x 2K resolutions through a downscaling function. 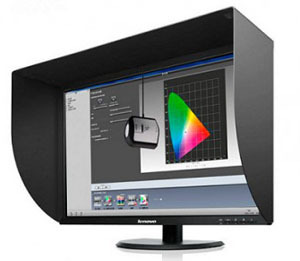 All ColorEdge CG276 monitors manufactured as of this month (April 2013) come with downscaling capabilities. Don't get too excited, this isn't a true native 4k support from the monitor sadly, but the ColorEdge CG276 will accept 4K x 2K resolutions of 4096 x 2160 and 3840 x 2160 at up to 30 frames/second via its DisplayPort input then downscale them to its native panel resolution of 2560 x 1440. Eizo will exhibit the ColorEdge CG276 with 4K x 2 K input support at the NAB (National Association of Broadcasters) Show 2013 in Las Vegas, Nevada, USA from April 8-11. 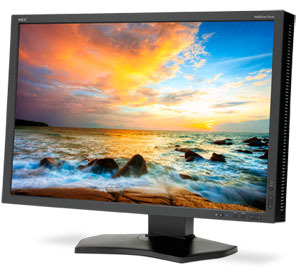 ColorEdge CG276 monitors with input support for 4K x 2K are now shipping. Availability differs by country. 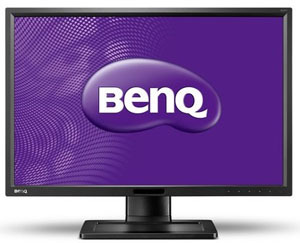 Usually a big investor in TN Film and AMVA because of their links with AU Optronics, BenQ have decided to now venture into the popular IPS panel market for a slice of the pie. They are about to release the new BL2411PT which is a 24" model sporting a 1920 x 1200 resolution. The screen also offers a 5ms G2G response time, 1000:1 contrast ratio, 300 cd/m2 brightness and 178/178 viewing angles. The W-LED backlight unit delivers a standard sRGB gamut and although we know the screen has an AG coating, we do not know at this stage whether it is a light or heavy coating. The stand offers a full range of tilt, height, pivot and rotate adjustments. There are DVI, D-sub and DisplayPort connections available. There are also touch sensitive OSD buttons, a human motion sensor (ECO Sensor), an ambient light sensor (Automatic Eye Protect) and integrated 2x 1W stereo speakers. 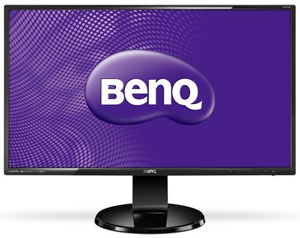 BenQ also actually market this new screen as being flicker free, so this hopefully means that Pulse Width Modulation (PWM) is not being used for backlight dimming. The monitor is expected to launch in Europe at an RRP of €299 and the UK at an RRP of £255 in April. At this years CEBIT event Iiyama showcased their new XB2776QS monitor, sporting a 27" IPS pane with 2560 x 1440 resolution. 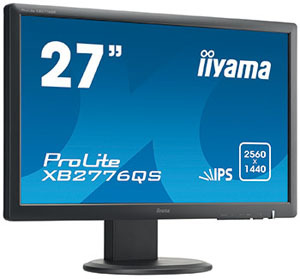 The screen signifies a move away from many of Iiyama's TN Film based 1920 x 1080 res 27" monitors and offers something to compete with the other ultra-high resolution displays on the market. The screen also offers a 5ms G2G response time, 1000:1 contrast ratio 350 cd/m2 brightness and 178/178 viewing angles. There are DVI, D-sub, HDMI and DisplayPort connections available and the screen offers tilt, pivot and height adjustments as well. The screen should retail for ~499 Euros. Some information has recently appeared on Samsung's Korean website about a new smaller, lower-end screen in their monitor range featuring their modern PLS (Plane to Line Switching) panel technology. 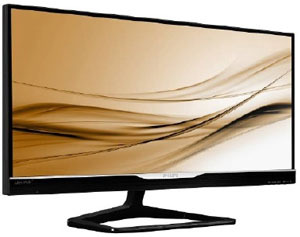 To date, this PLS tech has largely been reserved for ultra-high resolution 27" models from Samsung themselves (S27A850D, S27B970D for instance) and from a few other manufacturers who have decided to embrace the new technology in place of the popular IPS panels (ViewSonic VP2770-LED, Asus PB278Q for instance). Now Samsung seem to be branching out into the smaller panel sectors which have yet to be really explored with PLS. The S24C570HL (SC570) has emerged as a new 23.6" sized screen sporting a so-called "AD-PLS" panel. Presumably this is Samsung's answer to the latest naming scheme in the IPS market, where AH-IPS panels (Advanced High Performance IPS) have started to appear. The "AD" probably stands for Advanced as well, but we expect the same performance characteristics really as the PLS panels we've seen to date. The screen offers a 1920 x 1080 resolution, 5ms G2G response time, 1000:1 contrast ratio, 250 cd/m2 brightness and 178/178 viewing angle. There is a W-LED backlight unit and Samsung are keen to promote the thin side profile, crystal neck and flat square stand in their marketing. There are connections for D-sub and HDMI available along with an audio out connection. Oddly there's no DVI here. The stand is also simple with only a tilt function. 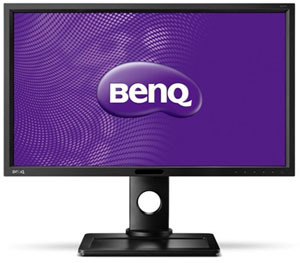 BenQ have recently released what is essentially a larger version of their popular 24" XL2420T screen. The new XL2720T is 27" in size this time, but is based on the same 1920 x 1080 resolution as many other gaming panels in this size. Like its smaller brother the XL2720T will feature a 120Hz refresh rate, but this time the TN Film panel offers a 1ms G2G quoted response time. It's even possible that the screen will natively support 144Hz refresh rates like BenQ's recent XL2411T model did (although not advertised on either). Regardless the screen will support NVIDIA's 3D Vision 2 for stereoscopic 3D gaming, and also features a LightBoost backlight system. This can hopefully be used to produce quality motion blur reduction in 2D applications as well as we explored in our recent article about Motion Blur Reduction Backlights. The XL2720T has the same design and features as the XL2420T, including the magnetic S-switch add-on, red trims on the stand and Black eQualizer function. In terms of other specs the screen has a 1920 x 1080 resolution as we've already mentioned, 300 cd/m2 brightness, 1000:1 static contrast ratio and 170/160 viewing angles. It features a standard gamut W-LED backlighting unit and there are connections available for D-sub, DVI, HDMI and DispalyPort. The stand offers tilt, height and swivel adjustments as well. The screen is available now in the UK at a price of ~£400. The U3014 is much like the recent U2713H and U2413 of course. It comes factory calibrated in the sRGB and Adobe RGB preset modes with dE <2. The GB-LED backlight unit offers coverage of 99% Adobe RGB and 103% NTSC for reference. There is a 1.07 billion colour depth with 12-bit internal processing and a 14-bit programmable LUT. The hardware calibration like on the smaller models requires the use of Dell's calibration software and an X-rite i1 Display Pro colorimeter (sold separately). Spec-wise the screen offers a 2560 x 1600 resolution (16:10 aspect ratio), 6ms G2G response time, 1000:1 contrast ratio, 50 - 350 cd/m2 brightness range and 178/178 viewing angles. It features an AH-IPS panel from LG.Display, a version of the LM300WQ6 we expect. The stand offers a full range of height, tilt and swivel adjustments, but rotation has been left off due to the size of the panel. It is also wall-mountable if required. There are DisplayPort 1.2, mini-DisplayPort, HDMI and Dual link DVI-D available for video connections along with the 4-port USB 3.0 hub and integrated card reader. Dell.co.uk already has the price listed at £1245.60 (inc VAT) although expect that to be a bit lower once it hits more retailers. Don't confuse the price listed on Dell's Australian site ($1799) as US dollars though, we've yet to see the official Dell RRP there. We will report back in this news piece with updates as and when we get confirmation of any further pricing. A full review is coming soon! As we reported back in December 2012, the new 30" model from Dell's UltraSharp range will be called the U3014. Readers have been eagerly awaiting news of its imminent release and associated price. Normally with the release of a new Dell model we see some information leaked initially on Dell.com, followed by a full spec / features page and then finally a price and release timeline announced. It seems this trend is set to continue with the U3014 as Dell have just released some early images of the screen on their website (pictured above). No further information seems to be available yet, but you can read some of our assumptions and the information we do know here. We still expect the screen to emerge within the next few weeks and we will report back via our Twitter feed as soon as we know anything else. 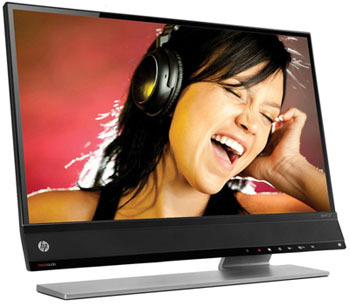 At this years CES event HP are set to showcase some new models in their 2013 line-up. First of all there is a 23" model in their ZR range which will be known as the ZR233W. 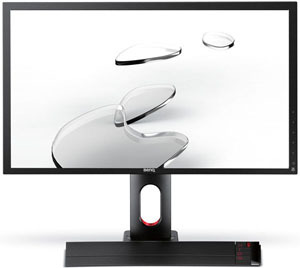 This screen will be based on an IPS panel with LED backlighting and offers DisplayPort, DVI and D-sub connections. There are also tilt, height, swivel and rotate adjustments available from the stand. It is expected to retail for ~$259 USD and is supposed to offer business-class performance at a budget price according to the press release. There is also a new 27" model (pictured) which is being touted as the "first monitor with Beats Audio" which offers upward angle speakers and a sub-woofer integrated into the screen, developed in collaboration with Beats by Dr Dre for apparently studio-quality sound. The "HP Envy 27-inch" this will be an IPS and LED backlit model and also features an edge-to-edge glass fronted design, aluminium base and ultra-thin profile (13.95mm at the top). Headphone and digital audio out connectivity are also available. It should be available Worldwide at a price equivalent to ~$499 USD. 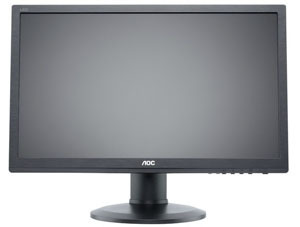 AOC are set to release their new ultra-wide 21:9 aspect ratio display, the q2963Pm. Like the Dell U2913WM which we reviewed recently the new model offers a pretty unique visual experience with a 2560 x 1080 resolution and 29" screen size. The screen is based on an IPS panel with W-LED backlighting. It offers a 5ms G2G response time, 1000:1 contrast ratio, 250 cd/m2 brightness and 178/178 viewing angles. It offers DVI, HDMI and D-sub connections (with HDCP), integrated speakers and a basic tilt stand adjustment only. 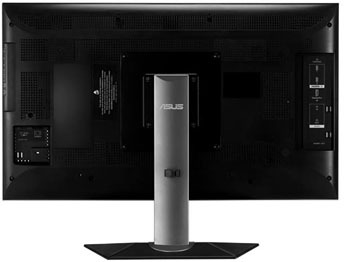 Following the recent news of the forthcoming Dell U2413 24" monitor, Asus have updated their ProArt (PA) series monitor as well. The new PA249Q will signal the move to the new GB-LED backlighting which has been used in the Dell model as well, offering a wide colour gamut. It is likely to be the same panel as used in the Dell offering in fact, being a 24" AH-IPS panel with 103% NTSC coverage, 99% Adobe RGB and 100%+ sRGB. The screen will come factory calibrated with dE < 5 and offers 10-bit colour depth support through an 8-bit + FRC panel. There is full 6-axis colour adjustment as well for advanced control. The screen will offer a 1920 x 1200 resolution, 6ms G2G response time, 1000:1 contrast ratio, 350 cd/m2 brightness and 178/178 viewing angles. There is a 4 port USB 3.0 hub built in and the screen provides DVI, D0sub, HDMI and DisplayPort connections. The stand offers a full range of tilt, height, pivot and rotate adjustments as you might hope. 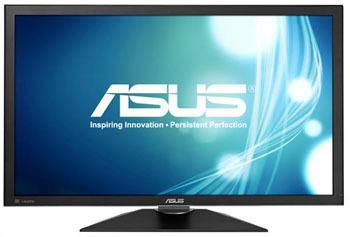 The ASUS PA249Q will be available globally from March 2013. Price is not known at the moment. 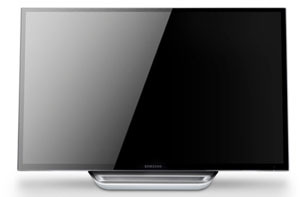 Samsung are reportedly set to release an updated version of their S27B970D (SB970 screen) in the near future. It doesn't look like much has changed from the info available so far. The SB971 seems to retain the same design, specs and features of the existing SB970 but presumably Samsung have made changes of some sort. We do know that the factory calibration will be kept, along with hardware calibration support from Samsung's NCE software solution. It will be a 27" screen with a 2560 x 1440 resolution PLS panel. We don't know yet whether this will be a move to any kind of new backlight system (for wide gamut) or what the main changes are. 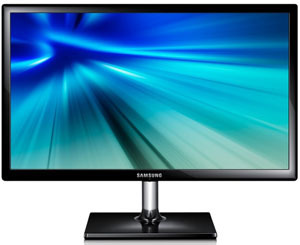 The Series 7 SC770 (full model name S27C770) Touch Monitor is Samsung's first multi-touch display that's been optimised for Windows 8 and has been showcased at CES 2013. With the ability to support up to 10 points of simultaneous multi-touch, the Series 7 SC770 allows users to pinch, flick, and scroll their way through Microsoft's new operating system. The screen has an edge to edge glass front and a polished metal stand for a sleek appearance. 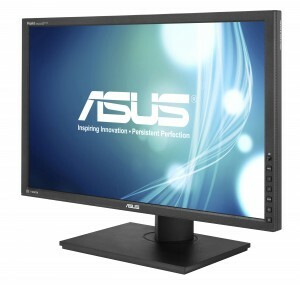 The SC770 is a 27" screen featuring a 1920 x 1080 resolution and an MVA panel. This offers a 5ms G2G response time, 5000:1 static contrast ratio which is a strong point of VA technology today, 250 cd/m2 brightness and 178/178 viewing angles. It features W-LED backlighting and so offers a standard sRGB colour gamut. The stand offers a 60 degree tilt adjustment, and the screen offers 2x HDMI connectivity, an integrated 1 port USB hub for allowing the touch screen feature to work when connected to a PC, and built in 3W stereo speakers. 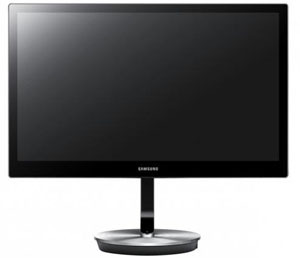 Samsung have confirmed a 24" model (S24C770) will also be available at some point. The 27" model is expected to retail for ~$1000 USD according to Samsung sources. We brought you the news in December that Dell's new UltraSharp 30" monitor will be called the U3014 and that it should be available in the first quarter of 2013. We now know a few more details about the screen which we will share with our readers. Like the existing U3011 model, the U3014 will be a 30" screen with 2560 x 1600 resolution (16:10 aspect ratio). We also know that like the recently released U2413 and U2713H models the screen will use a GB-LED backlight system offering a wide gamut and coverage of 99% of the Adobe RGB reference space. This equates to ~103% NTSC and covers 100%+ of the sRGB space. Interface wise the U3014 will offer DisplayPort, HDMI and Dual-link DVI (HDCP supported). It will also have a 4 port USB 3.0 hub, full height adjustable stand (tilt, swivel, rotate and height) and an integrated card reader. While the above information is confirmed, we can also speculate on a few likely features. We expect the screen to be AH-IPS based and using LG.Display's newest LM300WQ6 panel. The spec is therefore likely to have a 6ms G2G response time, 1000:1 contrast ratio (2 million:1 DCR expected), 350 cd/m2 brightness and 178/178 viewing angles. The panel offers a 1.07 billion colour depth and according to the spec sheet for the LM300WQ6 panel this appears to be a 10-bit module without the use of Frame Rate Control. The U3011 will be replaced by this new model and so is going end of line (EOL) now. The U3014 is still anticipated to be released in February and we will keep you up to date via our Twitter feed as we know more.